Section 3 The Act on Medical Care and Treatment for Insane Persons, etc. Fig. 3-5-3-1 shows the flow of the procedures under the Act on Medical Care and Treatment for Insane Persons, etc. that was enforced on July 15, 2005. Fig. 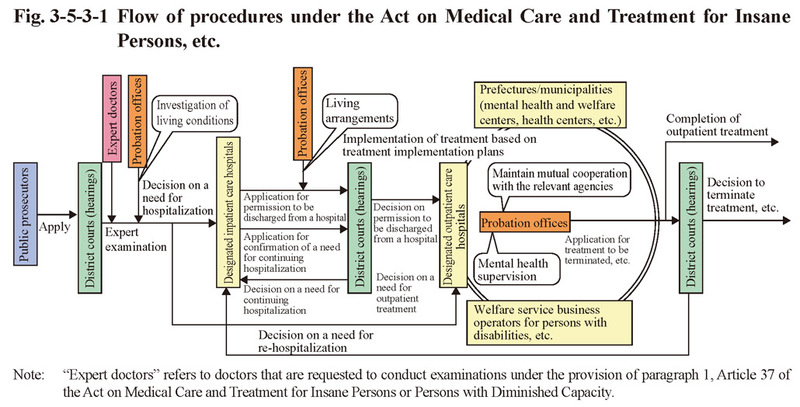 3-5-3-1 Flow of procedures under the Act on Medical Care and Treatment for Insane Persons, etc.